1. What is WebMail ? 2. 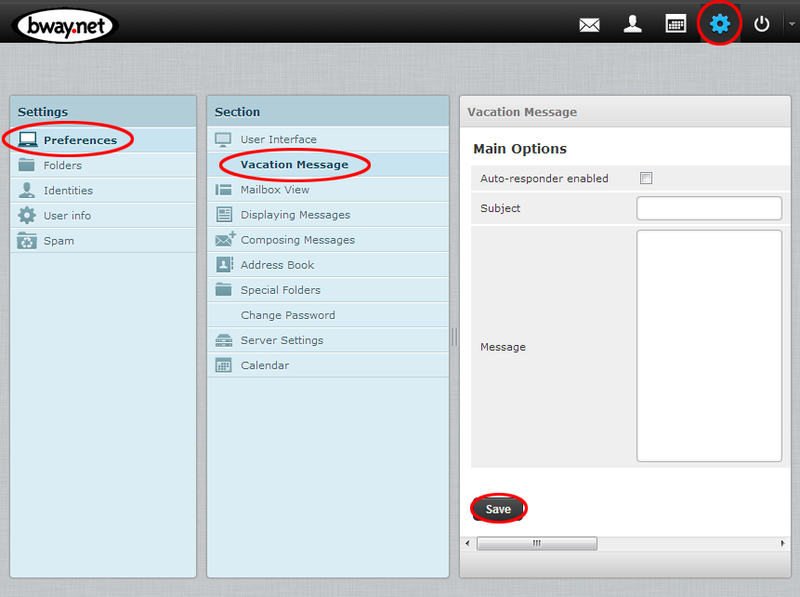 How do I access WebMail ? 3. What are all these other folders ? 5. 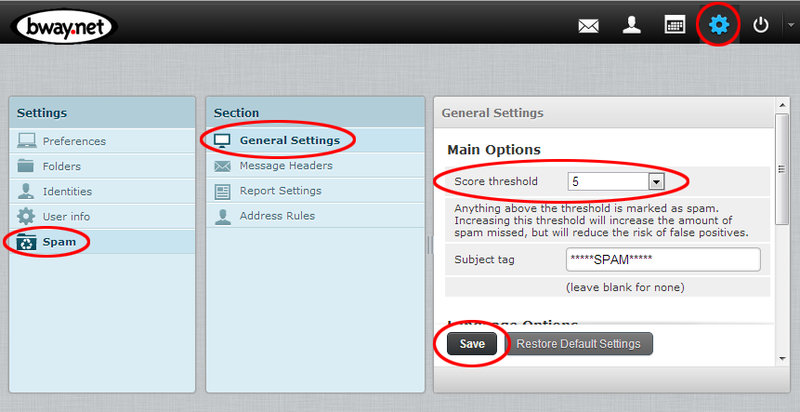 How do I change my spam settings ? 6. How do I manage my whitelist/blacklist ? 7. How do I set an away/vacation message ? 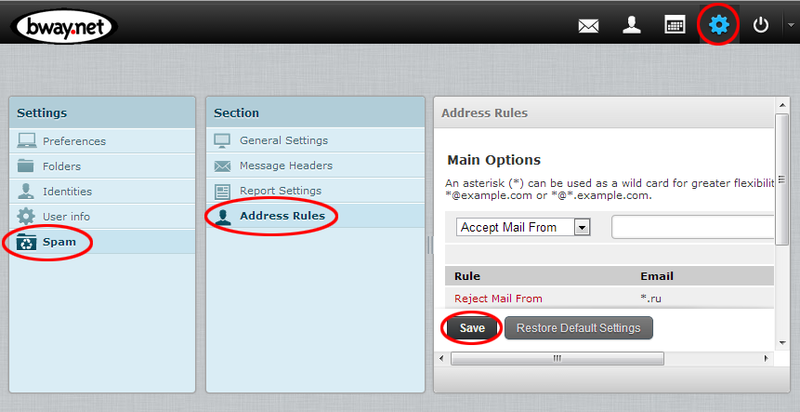 WebMail allows you to access your Bway mailbox from a web page from anywhere in the world. 2.How do I access WebMail ? Go to https://webmail2.bway.net in your web browser. Login with your Bway username or your full email address (if you have a domain mailbox) and your password. 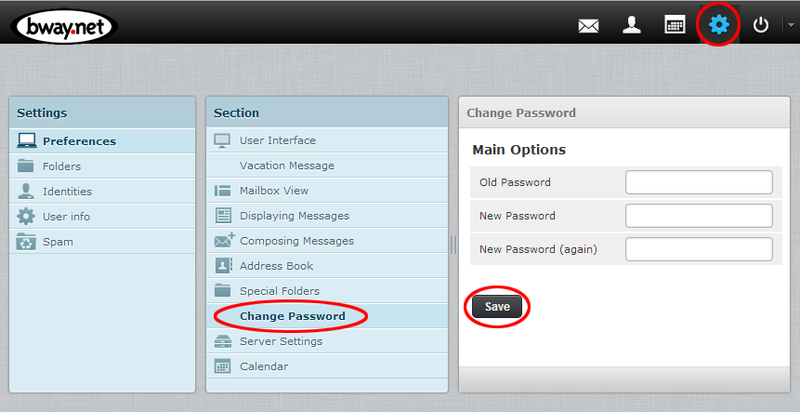 Your Bway mailbox consists of several folders which are automatically created when the mailbox is created. These help organize your email. Your main folder is the INBOX – this contains your incoming mail. The Sent folder contains messages you have sent from WebMail. The Trash folder contains messages and folders that have been deleted from within WebMail. If your mailbox was migrated from the old server there may be additional folders which were brought over from your old mailbox. If you have spam filtering enabled, you may also find a Spam folder. 4. How do I change my password ? Change your password, and then click Save. Please be sure to make a secure password Click here to learn more about secure passwords.